Over 600 motorcycle riders and supporters showed up this year for the 25th annual Ride for Kids charity event in Los Angeles, raising more than $220,000 for the Pediatric Brain Tumor Foundation (PBTF). Among the hundreds who turned out to support the fight against childhood brain tumors were many associates from Honda’s plant in Torrance, California. Ride for Kids holds the distinction of being the longest-running, most successful motorcycle ride charity event in America, and Honda has been supporting the program throughout its run. 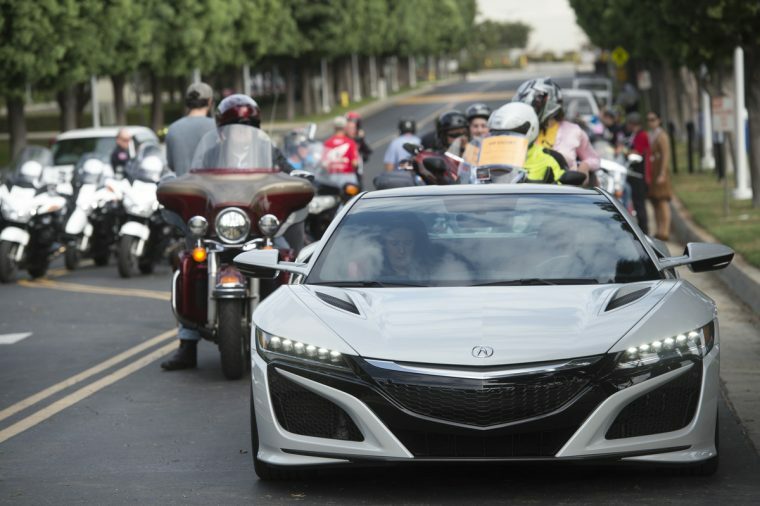 As usual, this year’s event began at the American Honda Motor Company campus in Torrance, made its way through various local communities, and then came to a halt for closing ceremonies at the Port of Los Angeles CRAFTED warehouse. The PBTF has raised over $70 million since 1984, and Honda has sponsored the organization’s Ride for Kids event ever since it first began in 1991. In its capacity as a sponsor, Honda has supported rides across a number of its plants and operations in the US, with each unique location adding its own twist to the long-running event. At the ride, participants got the chance to hear from both the children who have been afflicted by the disease and the doctors who are working to find a cure.